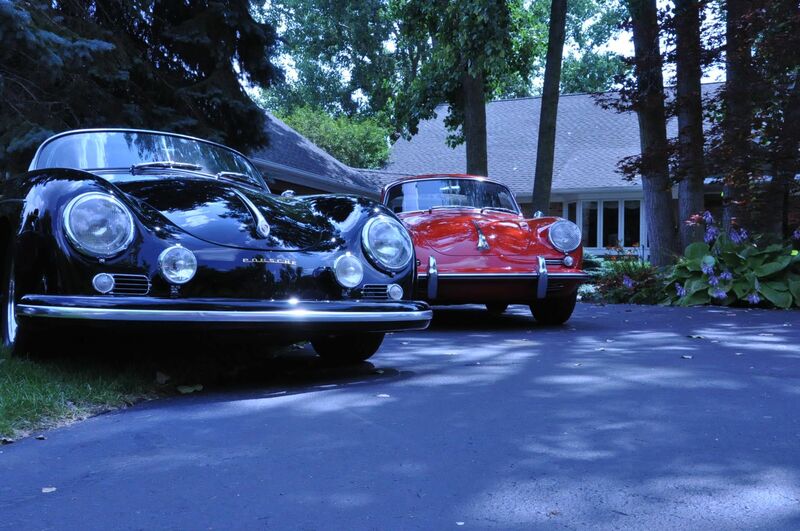 The 2014 Gruppe picnic was a huge success with more people and 356’s attending than the year before. Dave and Dianne Burton were gracious enough to host for the second consecutive year, and frankly I would be ecstatic to have it here every year. That mean’s Dave’s garage would get a yearly cleaning like nobody’s business. Eighteen 356’s and 73 people attended, so it is a good thing the perfect weather that Dave ordered showed up just in time. It was dicey the day before and the forecast for tomorrow looks bleak. We took advantage of our good luck and spent a terrific day socializing and ogling over the cars. At this year’s Gruppe Picnic, Vic Skirmants debuted his 1952 356 coupe that was rolled in a race near Buffalo, NY when the car was new.Years ago it was re-bodied and made into an open car. Vic affectionately named it “The Mutt”. Check back at this page often as I will be updating it with more picnic pictures in the next few days.